As I’ve written previously, it’s a style that very much has a place, and no doubt this will find fans. Barrel fermented and 12 months in oak, it’s unashamedly big boned, and framed by oak and lees. 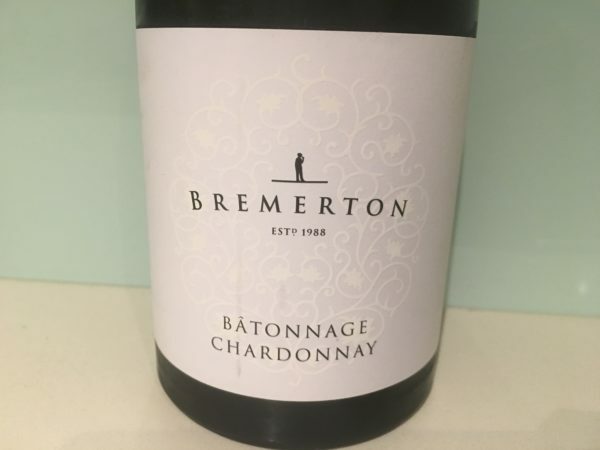 That said, this Bremerton Battonage Chardonnay has a slightly sour edge to the palate that indicates earlier picked fruit (and may divide fans looking for softness). I don’t think it hurts actually, for this has more freshness than expected, even though oak tannins mar the finish. Good intensity too, if a somewhat blunt object. Would be even better with less oak. Best drinking: 2016-2019. 16.8/20, 89/100. 12.5%, $32. Would I buy it? Not quite.